An evening at the pub is the ideal way to cap off a busy day in Cornwall and the Counties. This fully licensed speakeasy pub located in the NAV Centre offers you the opportunity to relax, unwind and take in some friendly conversation or the big game. With live entertainment every Friday night, a menu of appetizers and classic Pub Grub, and a bar highlighted with 13 taps and the 25 Canadian craft beer tour passport, 50 international whisky passport and so much more, the Jet Set has everything you need to have a good time. 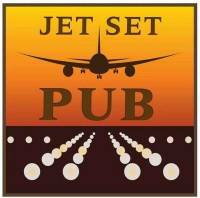 The Jet Set can also be booked in advance for private functions. The male servers have no personality. Work on customer service skills, such a turn off. table was ready and available upon arrival. Food was good , service was great. Music a bit to loud as we were there to chit chat! Becoming a favorite Cornwall establishment. I like the back room for larger parties. We had a great time, our waitress was wonderful and always present when we needed her. She went out of her way to ensure that all our needs were met. The atmosphere in this littler bar was very pleasant and lively but not too loud. Always enjoy a night out at the Pub . The food was very good , the cheese platter appetizer was especially tasty . Keep up the good work ! Everything was good, but when I got there it looked like the reservation did not go through. The team stepped up and they were able to setup a table for 14 people pretty quickly! Although I may never use the website to book again, I will definitely go back. Great service Chris. Much appreciated all your help. We have regularly eaten at Jet Set Pub....usually wing night on Wednesday. Our favourite used to be wings and a Summer Town salad. The salad is no longer comparable in taste or size than it used to be. Last night I did not order one based on my last experience. The wings are also over breaded and over done. I wish that you had a plain option instead of breaded. My wife, who used to always have the wings on wing night, has now, for the last two visits, ordered the Canadian burger instead of the wings. After many visits on wing night, I think we will save wing night for the South Glengarry... they are far more superior there. The burger, however, was very good. Was a fantastic place to have our end of the year work get together. Service was amazing. Food was excellent and the overall experience was superb. Only issue we had was a couple of people getting a bit rowdy a couple times, but that's not the pubs fault. Thank you! We'll be back again! I completed a booking online for a certain date only to find out afterwards that there was a launch party occurring the same night. To assure my reservation, I made contact, spoke with Dana, who informed me that it was impossible that I booked a reservation online and knew nothing about my reservation and that no reservations were being taken for that night in particular. I was told that they didn't take online reservations, for which I explained it was completed and that I had emails to prove it. I received no apology for this and was told I was wrong. This is NOT good customer service at all. You might want to inform your staff that 1. You can make reservations online and 2. Customer is always right. Stating that they aren't won't bring them to your establishment. Such a disappointment!!! As for the above ratings, I had to answer in order to submit. This is based on past experience only.